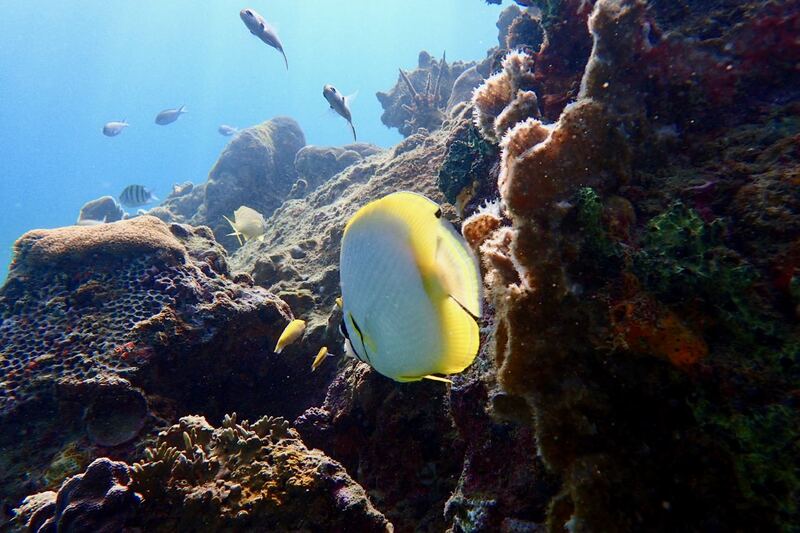 A Spot Fin Butterfly Fish swimming off onto the reef in Mt. Irvine. Another beautiful day on Zoe Snorkeling Charters.